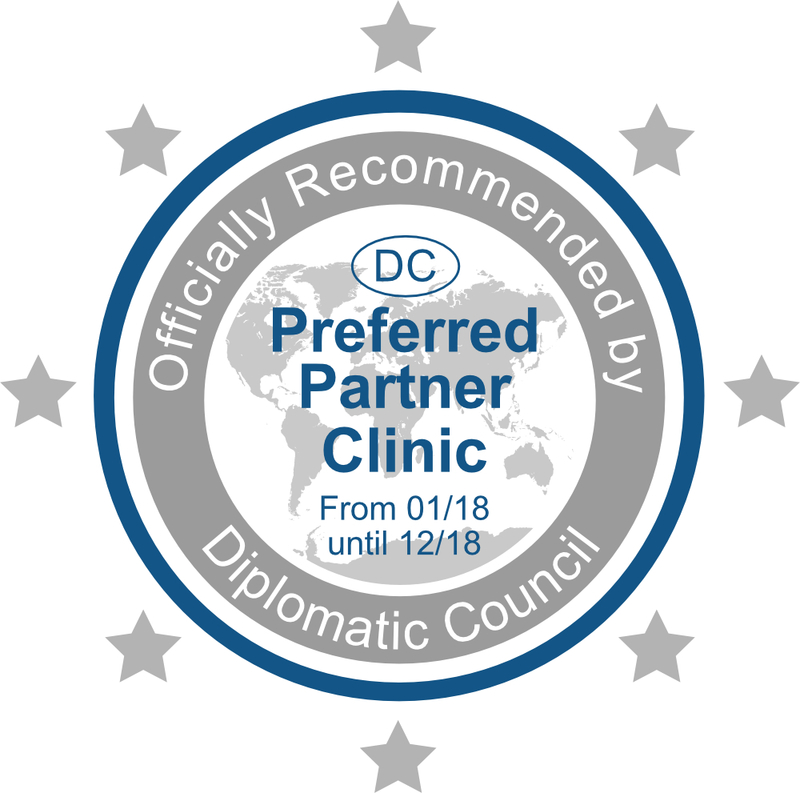 “Diplomatic Council – Preferred Partner Hospital” and “Diplomatic Council – Preferred Partner clinics” are the highest qualification standards and are only awarded based on the Temos accreditation's evaluation. This process includes a respective preparation period of up to several months and an onsite evaluation of several days. 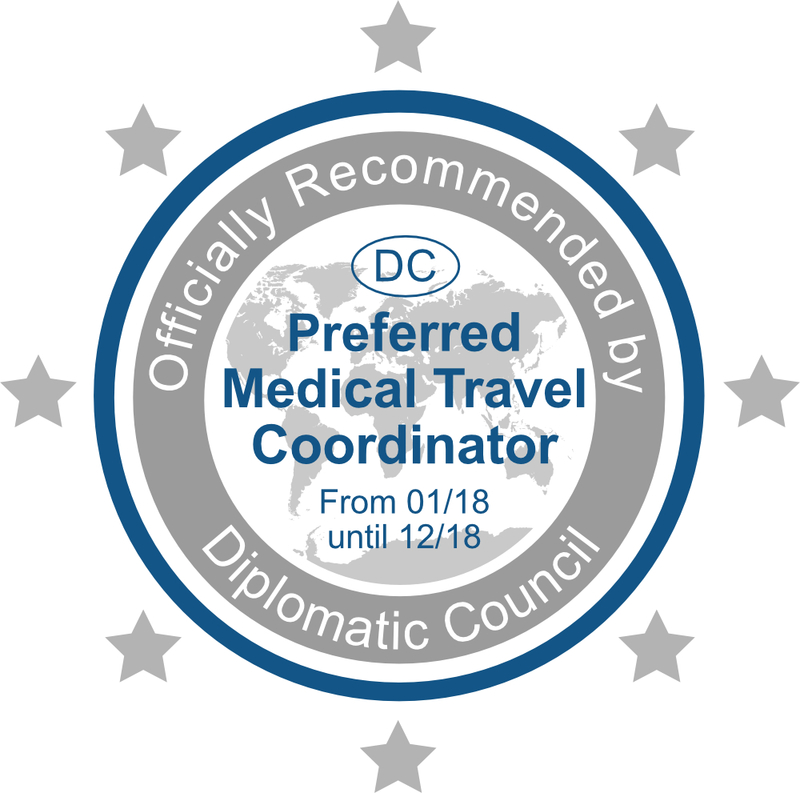 “Diplomatic Council – Preferred Partner Medical Travel Coordinators” is the highest qualification standard for facilitators and is based on neutral, third party international experts’ evaluation. This process includes a respective preparation period of up to several months. This is the worldwide superior Diplomatic Council quality certificate for medical facilities as well as medical travel coordinators that offer treatment for international patients within the scope of medical tourism, tourism medicine, and medical services for business travelers and expatriates. The quality seal will be awarded after the successful passing of the Temos International program. Temos International is a neutral and independent Healthcare Accreditation body that accredits hospitals, clinics, dental center, IVF clinics, rehabilitation centers, eye clinics, and medical travel coordinators all around the world to raise the quality of medical and non-clinical services for international patients. Medical facilities applying for the Diplomatic Council quality certificate and to be listed in the “Diplomatic Council – Preferred Partner” Directory have to complete the programs of Temos International. Presently, more than 80 medical service providers and medical travel coordinators from the United States of America to the Philippines have passed the quality check by Temos International. The fees for this comprehensive certification process of Temos International depend on the size of the facility. They usually vary from € 7.000 to € 40.000 plus annual continuation fees. Please email to info [at] temos-internationa.com if you wish to have more information. The annual award ceremony for the „Diplomatic Council Preferred Partner Hospital“, „Diplomatic Council Preferred Partner Clinic“ und “Diplomatic Council Preferred Partner Medical Travel Coordinator“ takes place in the frame of the international Temos Conference “Healthcare Abroad & Medical Tourism”. For further information please visit www.temos-conference.com.